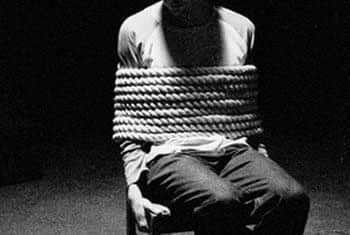 How to be safe from kidnapping as the trend is on the rise. Please note, It's good to have a sense of security and safety. 1. Never use car stickers that says where you work, especially if you have a prestigious job, don't let show off kill you. 2. Avoid making your financial status public, don't be the one that jumps to front of the church to make donations or the one pastor raves about. 3. When you attend parties, don't let the band get you so high that you start spraying money like no man's business, use an envelope. 4. Don't be the one that tries to empty the ATM machine by making large withdrawals ...You don't need 50k in your wallet to feel like a man. 5. Always delete your bank transaction notifications, especially SMS...you really can memorize your bank balance....Shred ur POS/ATM receipts. 6. Don't go jogging while it's dark, you really should be smarter than that. If you can, get someone trusted as company. 7. Always lock your doors, even if you're only going out to switch off your generator. 8. NEVER EVER, NEVER EVER WEAR YOUR ID outside your work place. No one needs to know you work with Union Bank, don't be stupid. 9. Be accountable to your spouse or parents, let someone know where you are at every point, don't branch to Oworo when you should be in Ikeja. 10. As much as you can avoid it, don't send kids on errand outside your house, they are soft targets. 11. Don't try to form richest dude in the neigbourhood by making large donations in your estate meetings, learn modesty. 12. When you give, give with modesty and privately, learn to say "I can't spare that amount now". Stop doing Baba Olowo for the boys dem. 13. Make safety the number one factor in your decision making this holiday, God will keep and protect you as you also apply discretion.